Gneissline Publishing, 2007. 168 pp., 128 color and tritone illustrations, 10x12". Award-winning fine-art and landscape photographer David Halpern provides a revealing glimpse into his lifelong journey of self-discovery. 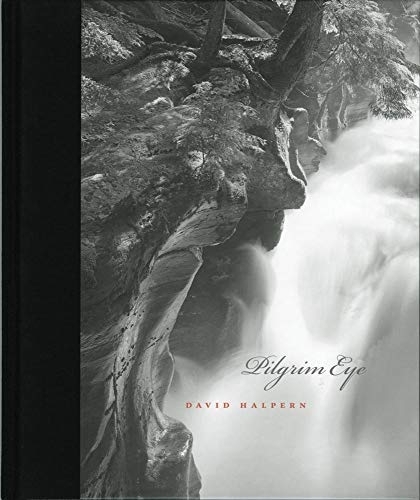 In Pilgrim Eye Halpern showcases more than fifty years of photographing the American landscape with images that are accompanied by self-revealing stories and thoughts, most of which are pulled from his meticulously created and preserved journals. Halpern has served eleven times as a National Park Artist-in-Residence, has taught photography for more than three decades and his work has been exhibited in museums and galleries across the country. This edition is presented in a cloth covered, foil-stamped clamshell case contaning a special signed and numbered book and a separate limited edition pigmented ink print, made by the photographer and signed and numbered to match the number of the book. The print, Forest Canyon after a Storm 1985, is suitable for framing.